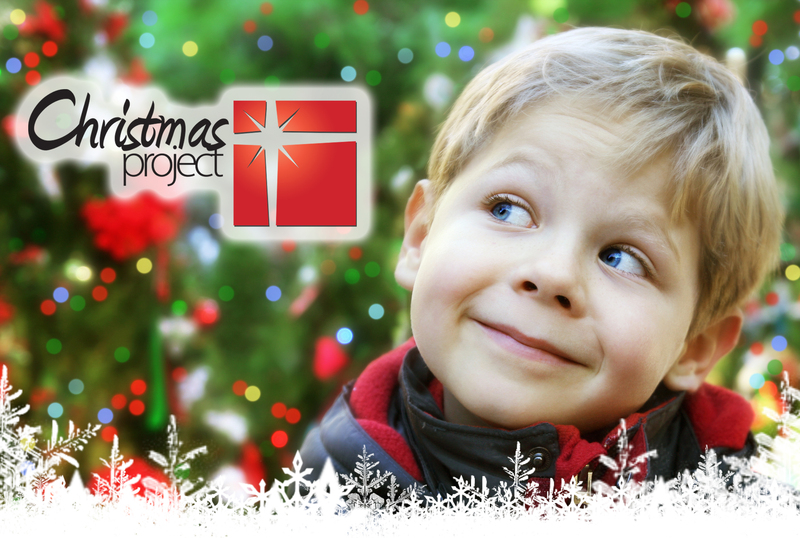 Heartland Worship Center is a faithful partner of GAP for the last several years. 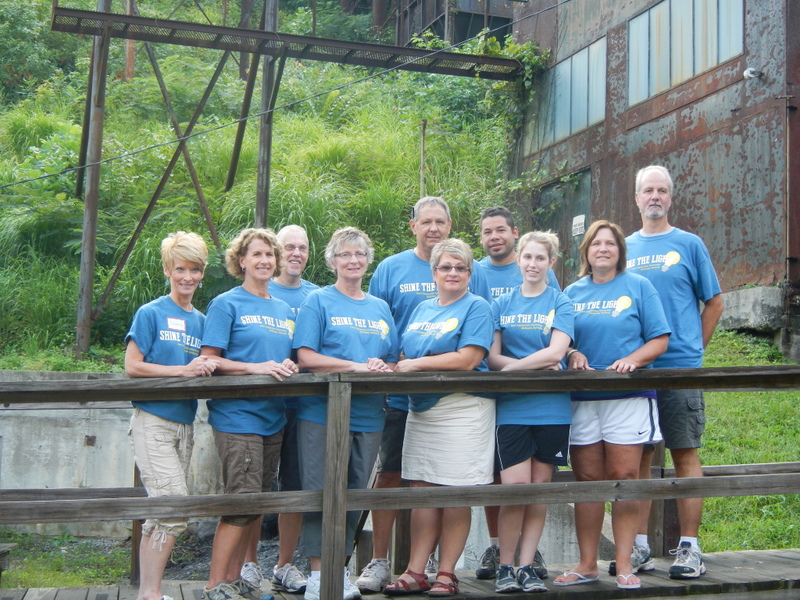 The church sends about 4 teams each year to serve alongside of us. 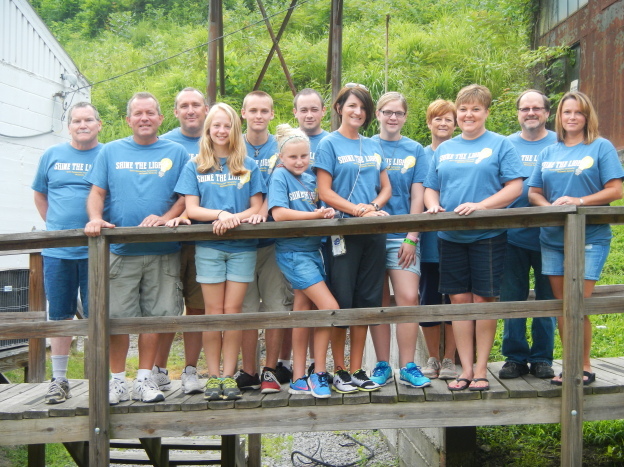 Their July 2014 trip was an exciting time as they came to serve and bring the gospel to the kids at Weeksbury. They had Bible lessons, games, crafts, and food that brought many children to the Weeksbury Park to hear the Gospel. They had 3 salvations and 1 rededication. Praise the Lord! Thank you Heartland Worship Center for your faithful partnership and ministry! This entry was posted in Uncategorized on September 22, 2014 by WebManager. 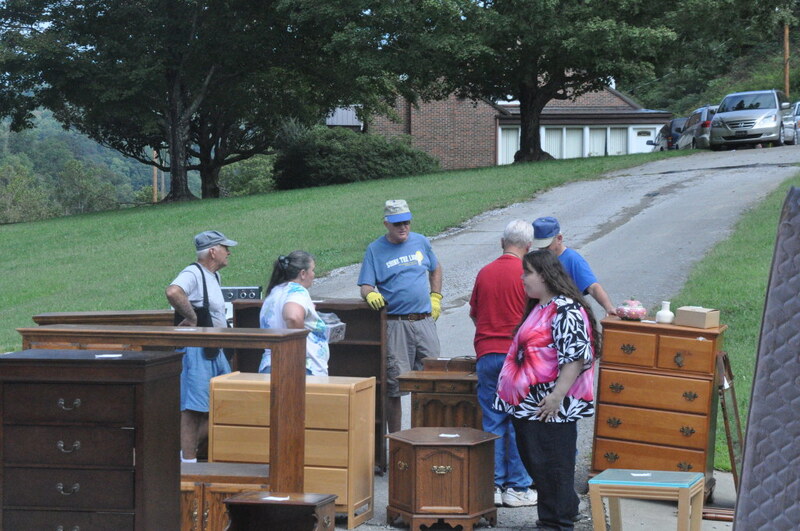 On September 8, 2014, we held GAP’s annual furniture sale. This event allows our clients to purchase new and used furniture at a great price. Prices range from $1.00 to $30.00 per item or set of furniture. All funds from this event go into a special account that is used to help clients during emergency situations throughout the year. This allows our clients to purchase furniture they need and at the same time help fellow clients. Although we do sale all the furniture to clients there are some clients due to a recent house fire or other extreme cases that are able to receive furniture at no cost to them. This event reminded me of GAP’s theme verse for the year, “Let your light shine before men in such a way that they may see your good works, and glorify your Father who is in heaven” Matthew 5:16. (NASB) This is what we are called to do at GAP. We allow God’s light to shine through us as we do “good works”. But these “good works” have a purpose. They are to point people to our Father. When this man responded, “Thank you, Jesus!” he was glorifying our Father in Heaven. God had met a real physical need in his life and he recognized it was a work of God not GAP. Another family who came to the sale had been homeless for several months and had just gotten into a house. The man had lost his leg due to diabetes and was not able to get into his former home. This led the family to be homeless seeking shelter in different area homeless shelters. God has now provided them a house to rent and they received a load of furniture for their new house. It is such a blessing to be a part of God’s work! I would like to say thank you to our partner Smoke Rise Baptist Church in GA. Throughout the past year, this church had collected two trailers full of furniture for this year’s sale. A group of men delivered the furniture and a couple even stayed and were a huge help in loading the furniture into clients’ vehicles. 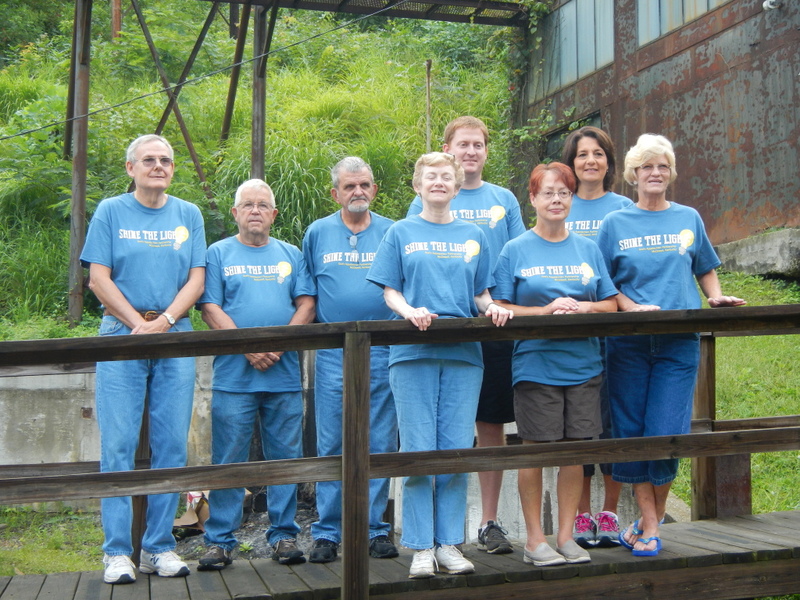 We also had another mission team who showed such servant hearts as they worked at the furniture sale, South Gate Baptist Church from MO. This team served as personal shoppers for our clients during the sale and also helped load furniture. South Gate Baptist Church did a wonderful job talking with our clients and helping them at this sale. KidStock 2014 was a huge success! 413 children received a backpack, school supplies, new shoes and socks, and heard the Gospel message during our annual back-to-school event. As families arrived, each child was given a backpack and name tag. There were carnival type games throughout the park where kids could play and win school supplies. At a given appointment time, families formed small cluster groups. These small groups moved together through 3 different stations. 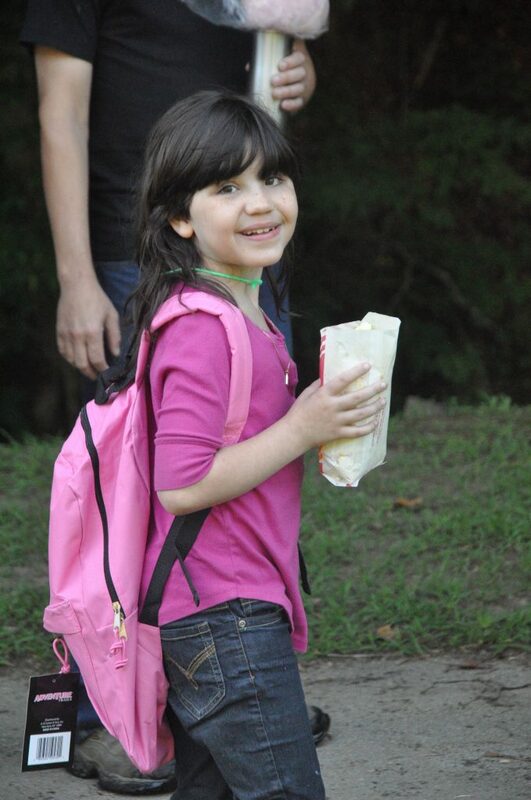 At the first station, families were presented the Gospel Message and backpack tags that represented the Gospel. Then the clusters moved to the second station where a short skit was presented telling the story of Jesus washing the disciple’s feet. After that each child had an adult volunteer wash his/her feet and share the Gospel again. Then each child was presented with a new pair of socks and new shoes. Words cannot describe how excited some of these kids were with their shoes. So many children would tell me that the shoes they received were their favorite color. The Word of God and the Gospel was shared throughout the day in various ways. At the end of the day we have record that 41 people made decisions for Christ! Praise the Lord! Some repented and accepted God’s salvation and others rededicated their lives to the Lord Jesus Christ. It was a wonderful day of ministry! Read what others had to say about KidStock 2014! This is what we are all about here at GAP – ministry evangelism. We seek to meet people at their point of need and to always share with them the love of Jesus Christ and His Gospel Message! During KidStock 2014, families came with a need for school supplies but they left with much more – the message of Jesus Christ! This entry was posted in Uncategorized on September 4, 2014 by WebManager.